London- my favorite major city in the world! And London with kids is even better! There are so many things to do in London that you could stay here for a year and still not be bored! You will definitely want to come back!! 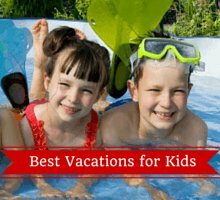 This is definitely the place to come on a family vacation! Get amazing tour, ticket and museum discount tickets here! When is the best time to visit London? Summer is one of the best times to visit London with kids so you can enjoy the parks and stroll the streets. 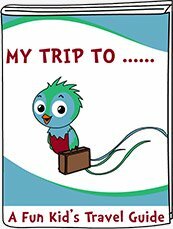 However, Spring and fall are also great times to visit and you will usually find cheaper airfares and hotels at this time. If you are visiting in the winter you will need to bundle up but there are lots of fun museums to explore! But OMG the Christmas vibe in London is amazing and it is all lit up and feels simply magical! Buckingham Palace is a must see in London with kids. Your children will enjoy seeing the Changing of the Guard Ceremony. Get there early as it gets quite crowded. Your family can take a tour of the states rooms in the summer months. Take a photo with the guards in the guard house who are famous for not moving a muscle. See if your kids can do the same for a few minutes! After a visit to Buckingham Palace take a stroll through St James Park. Your babies and toddlers will enjoy seeing the squirrels, ducks and swans. Your children will enjoy a visit to the playground. There are kiosks selling snacks and drinks, as well as bathrooms. It is really beautiful in the fall here. Take a tour through the scary London Dungeons with your kids. You are guided through a series of rooms themed from the Medieval ages. You will encounter special effects, live actors and thrilling rides. It is not that scary though -my 5-year old daughter loved it! There is a fun gift shop at the end with loads of spooky souvenirs. 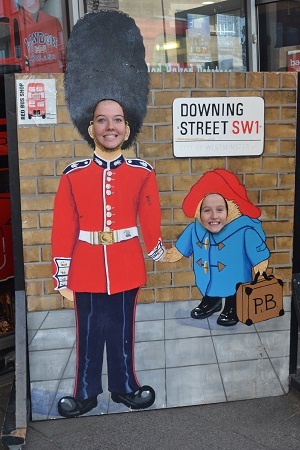 My kids favorite thing to do in London! Read more info here! 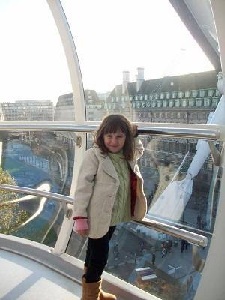 A ride on the London Eye is one of the fun things to do in London with kids. Don't miss out on seeing the 4D movie-the kids will love it. The ride take about half an hour and provides wonderful views of London. I went with my kids in the evening and we loved seeing the city all lit up! There can be long queues in the summer months but there is a fast pass option to skip the line. Visit a sweet shop (candy shop) and your kids will have fun sampling the delicious British candy. I highly recommend the Galaxy chocolate-its delicious! Your kids will love trying chocolate buttons and jelly babies. Spend a rainy afternoon at the Science Museum. There are lots of interactive exhibits to keep the kids busy. There is also a 3D Imax theater. Learn more here. 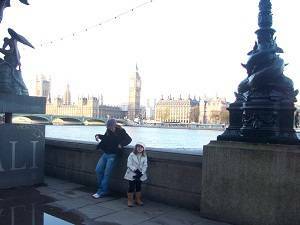 A visit to the Diana Princess of Wales Memorial Park is another one of the fun things to do in London with kids. The kids will love climbing on the wooden pirate ships and totem pole and playing hide and seek in the teepees.Your small children will have fun meeting new friends here and having an ice cream treat at the cafe beside it. This play area is located in Kensington Park. A visit to Kensington Palace is a must too if you like learning about the royals! They have a very cool kids tour! Read more here! Pack a picnic and head to Regent's Park. Young kids will enjoy playing on the playground, seeing the black swans and squirrels and going for a paddle boat ride on the lake. There is an open air theater where you can watch a play. There are beautifully landscaped gardens here. Great place for toddlers to burn some energy and to take a baby for a stroll. The London Aquarium is another one of the things to do in London with kids. The kids will enjoy walking through the tunnel aquarium and seeing all the colorful fish. 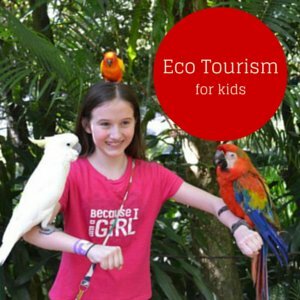 There is a hands-on aquarium where your children will enjoy touching various sea creatures. The shark tank is also a hit with the kids! 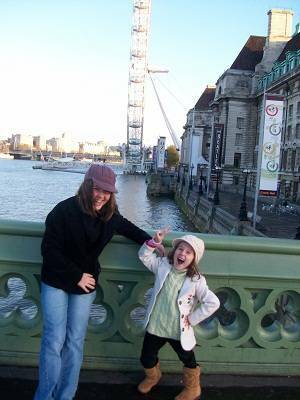 Tower Bridge is a wealth of history but presented in a child-friendly way. Get the children's passport as you enter and they can search for clues along the way! Really fun thing to do, we would definitely return to this one! Hamleys Toy Store is a fun place to bring the kids. They will love exploring this huge multi-level store packed with every toy imaginable. Magic kits, flying helicopters and Paddington Bears will be a hit.We spent a few hours in here -they also have a make your own bear section which my kids had fun in and made their own London souvenirs! Madam Tussauds is one of the must-do London attractions to visit with your family. The kids will enjoy seeing the incredibly realistic wax figures of Hollywood stars, the Royal Family and other famous figures. Teenagers will love the scream section -it really is a scream! There is also a fun taxi ride near the finish and a 4D movie. Want a bite to eat at an interesting spot? If you are near Trafalgar square there is Cafe in the Crypt just a step away. It is delicious and affordable and kids and adults alike will be enchanted by the surroundings! Try other great restaurants in London such as Carluccios in Covent Garden or Flesh and Buns nearby. A great place for kids is the chain of Giraffe restaurants including one opposite the Royal Garden Hotel in Kensington. Happenstance is another great place for a bite. If you are in Bankside, try out the Real Greek! You can easily spend a morning at the British Museum with your children. There is a fabulous collection of displays depicting history from around the globe. The kids will love the Egyptian mummy section -it is truly out of this world! 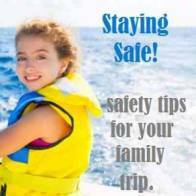 Do borrow an audio-guide for your children as it is really interactive and interesting. Amazingly, this museum offers free admission for the whole family -yippee! Have fun shopping for unique items at Camden Market. Check out the stalls selling clothing, art, accessories, and cool souvenirs. There are a variety of food stalls to try. Teenagers love this hip market and will not want to leave it. The best day to visit is Sunday as lots is going on. I have had to drag my teen daughter away from Camden Markets on all our London trips! Visit the Bankside area of London with so much to do and see from the market where Bridget Jones was filmed to the Globe theater, the famous Thames Clippers Cruise, the Tate museum and much more. No visit to London is complete without a trip to Warner Brothers Studios to see Harry Potter sets and explore the world of wizardry! Check it out here! The Grant Museum of Zoology is a fantastic place to bring your kids when you travel to London. There are 67,000 fascinating specimens housed here including a stuffed gorilla, tiger bones and a pickled hedgehog! For a small fee you can adopt the specimen of your choice and have your name placed beside it. Your kids will have a blast picking out which one to choose. The London Rock Tour is a must for those with teens! Learning about the Beatles, Stones and other iconic British bands is a very cool thing to do! Plus you get to walk across the Abbey Road album spot! A cool way to visit the city is the London Duck tour which is a bus and a boat cruise in one! Yes your bus turns into a boat. Don't miss out on sampling some delicious British food for kids. Fish and chips or a tasty roast beef dinner will be hits with the kids. Or try some of the many international foods with the kids such as curries or kebabs. 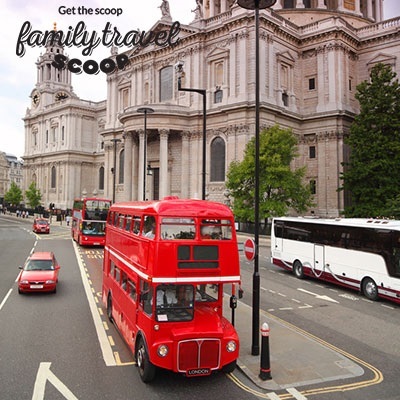 Sometimes parents need a getaway too, and London is the perfect place to go! 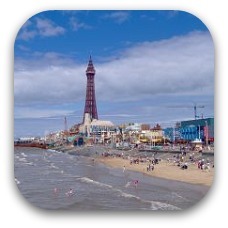 So much to see, do and relax -you won't be disappointed no matter what you want to do! Enjoy some great food at some of the following restaurants- Flesh and Buns, Carluccios, The Real Greek. or Happenstance. Enjoy the many London Theatre shows that suit all styles! Or jot down to beautiful Bath, UK where there are lots of lovely things to do! Great places to stay in London with kids are Ampersand Hotel or the Royal Garden Hotel- both in Kensington. 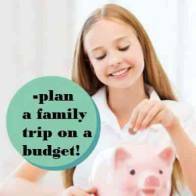 Or check out hotels for every budget here!